Virtual Reality Maintenance is Here! Maintenance Care Introduces 3D Virtual Spaces. 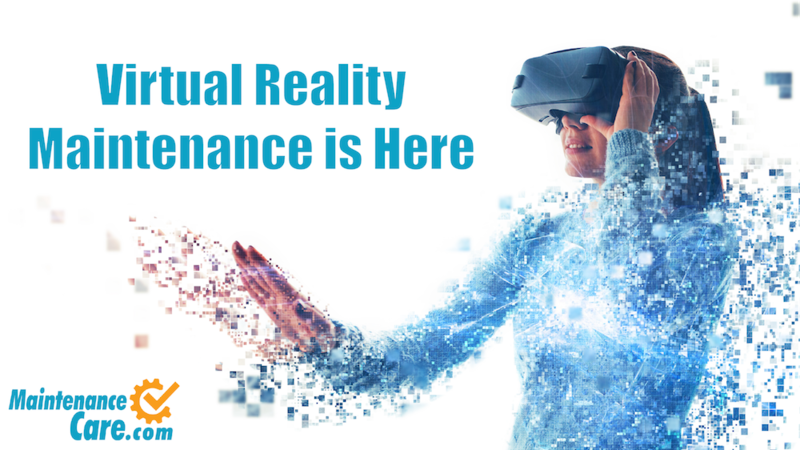 The team at Maintenance Care is proud to announce the addition of Virtual Reality (VR) 3D Spaces to our maintenance management system. With this new technology, we can help our clients to revolutionize the way they manage their assets, their maintenance, and their entire facility. With three unique packages (plus one add-on) to offer, we can help with everything from asset tracking, to facility management, to marketing, and more. What is a 3D Virtual Space? Virtual 3D Spaces are more than 3D models or virtual tours. They're a completely new form of immersive 3D media that invites you to explore a place as if you were really there. With this new feature we can create a 3D and VR experience of any room in a facility and tie it directly into client’s Maintenance Care asset database to provide them with an immediate, interactive visual of their equipment list. Take your asset management to the next level by working in a fully immersive 3D virtual space where each piece of equipment is tagged and linked to its Maintenance Care profile. Take advantage of smart maintenance and upgrade your facility management capabilities with a comprehensive 3D rendering of your entire facility. Capture a full Virtual Tour of all the main rooms in your facility to showcase on your website to increase interest and occupancy. We will do a full 3D VR rendering of all Critical Systems in your building and the hallways connecting them including the Mechanical Room, Elevator Rooms, Laundry, Kitchen and Boiler Room. Each asset will be tagged and linked to its profile in Maintenance Care so you always know which piece of equipment you are referring to when managing it. We will capture a full 3D VR rendering of your Main Lobby, Library, Dining Room, Suites and any other rooms of interest to help you showcase your building on your website. Each room gets its own link that you can promote on your website to increase interest and increase occupancy. The most comprehensive package. We will come in and scan for a full 3D VR rendering of your entire building. Each room and levels are captured in our process. This full package also allows you to add a 2-D map of your building with measurements and editable AutoCad file. While we are on site, you can have our specialized team capture all the assets in your building so that you can have them easily uploaded into Maintenance Care. We capture Make, Model, and Serial Numbers (if available) as well as provide your team with a coding structure that will allow you to manage your equipment for years to come.